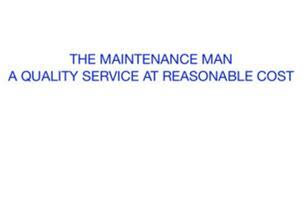 The Maintenance Man - Brian & Russell Kinslow - Electrician, Plumber based in Chatham, Kent. Invoice history based on 281 reviews. We are a family business established in 1987 that offers a quality service at a reasonable cost. Brian and Russell focus on jobs which can take from half an hour to a full day such as replacing taps, installing extra sockets & lighting, repairing a leaking toilet, shower installation or replacing a consumer unit. We also carry out a variety of larger works such as extra circuits and full & part rewires. We work in a fast and efficient manner. There is no incentive for us to work slowly or to overcharge. We take pride in our work and appearance and are polite and courteous to all customers and respect the customers property ie leaving the property in a clean and tidy state. All our work is fully insured and guaranteed. We have £5,000,000 public liability insurance cover. We are members of the Medway Fair Trader Scheme, Kent Trading Standards approved and we are also Elecsa Part P electrical registered. We can provide all necessary certification for any electrical work undertaken. Satisfaction is guaranteed. If you are not happy with any of our work, we will come back and do it for free. Plumbing: repair/replacement of taps, toilets, basins, baths, kitchen sinks, shower valves & electric showers, overflows and leaking water pipes etc. Electrical: from a light bulb to a full rewire including electrical reports, testing & inspection, consumer units, sockets etc.